Motherland Connextions proudly offers the following Tours for your consideration. This tour combines Underground Railroad sites with general sites of interest. It’s actually 2-tours in one. We uncover the natural migration routes of those Freedom Seekers making their way from the south en-route to Canada. Visit sites in Buffalo NY - Lewiston NY - Newfane NY and Niagara Falls NY. We experience the original hiding area beneath the 1850 barn made from American chestnut circa 1830. Listen to the stories - see the sites in Lockport NY via the Erie Canal and other various crossing points between the U.S. and Canada. 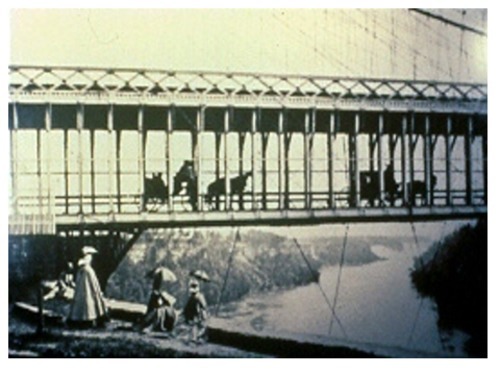 See the bridge that Tubman crossed as she made her way to Canaan Land. 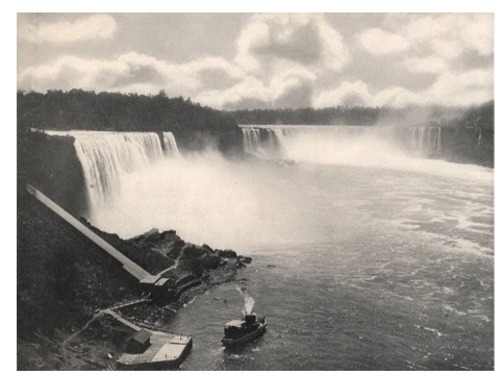 We also view the mighty Niagara Falls while learning its connection to the American Slave trade. So if you’re a history buff – this tour is for you! ...So steal-away with us and walk the paths of freedom - courage and love with the roar of the mighty Niagara at your feet. TOURS ARE RARELY FILLED TO CAPACITY & RESERVATIONS CAN BE MADE IN 24-HOURS OR LESS IN MOST CASES!! JUST CALL 716 867-1028 IF SITE ISN'T COOPERATING!!!! The busier our lives get - the more fascinating the Amish become. The Plain People - as they are sometimes called - enjoy full and rich lives despite lacking most of the modern conveniences we take for granted. 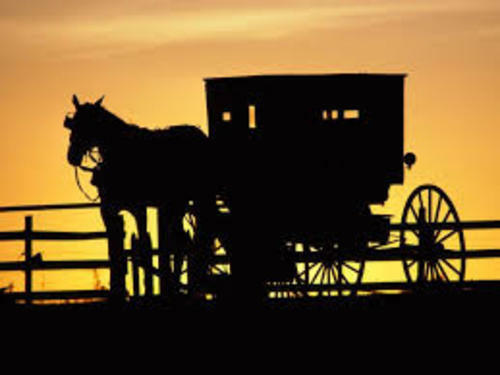 While most of us wouldn't want to join their world forever - traveling in Amish Country gives visitors the chance to sample the simplicity and harmony of an earlier era -1525 Switzerland. About 250 - 000 Amish live in the United States. While traditionally they've been farmers - many now operate small businesses ranging from furniture making and baking to quilting and market gardening. This tour embeds the visitor squarely in the heart of Amish country in the picturesque Conewango Valley in New York's Southern Tier where they will have a chance to experience and purchase food - culture and crafts. So slow down and recharge while touring Amish Country with us. This tour also combines Underground Railroad sites as well as - general sites of interest – its two tours in one. Uncover what was the second leg of the Underground Railroad on this guided 3-hour tour. Travel through the city of Niagara Falls Canada and near-by wine-country (Niagara-On-The-Lake) all the while stopping at heritage sites en-route to St. Catharine’s Ontario - temporary home to Harriet Tubman. Visit her historic Church - Salem Chapel BME - visit cemeteries - meet the descendants - and hear the stories - experience Suspension Bridge and the other sites that made-up the African-Canadian Experience via the Underground Railroad - all while catching that panoramic view of Niagara Falls and the role it played in the slave trade. There will also be a brief stop for wine tasting – ice wine! - $2.00 pd. directly to winery. Customized Itineraries: 4 - 8 hrs. STEP-ON: Client provides the transportation needed. Our Guide boards bus and conducts tour of the specified region. $580.00 for 4-hrs. minimum for groups of 47 or more persons. It is back - and even better. This one is special - it was our first outbound. We are sure you heard about the first trip. Visit an area of the Northeast Great Lakes Region where fugitives made their way to freedom. See the Windy City from the eyes of a 19th century fugitive. Cross the Detroit River en-route to freedom - hear the tales and see original sites of Famous Freedom Seekers in a land they called home - Canaan. We will not only visit the hit makers but also do a little shopping and have dinner at one of Detroit's famous eateries. “Absolutely Wonderful” This tour, which covers the route of the escaped slave entering New York,seeking freedom, was worth every minute and every penny. The tour guide, Kevin, picked us up at our hotel in a 15 passenger van. 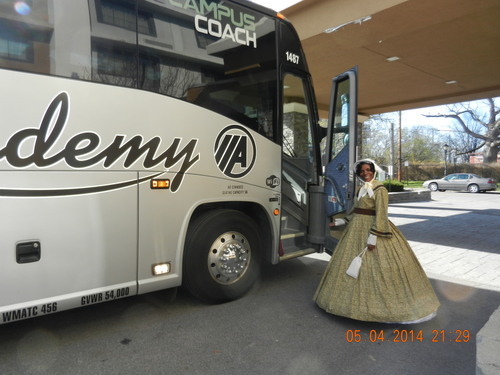 He took us to several historical areas along the route of the slaves seeking freedom. He was knowledgeable and thorough, answering questions with ease. 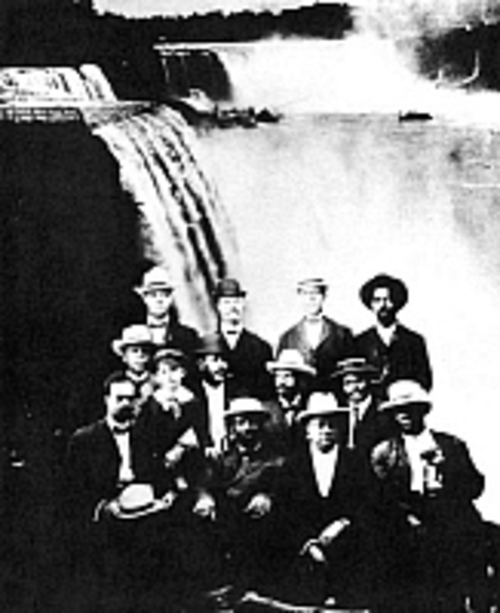 He ended the tour with a trip to the Falls and explained how and where the slaves crossed into Canada. It was a half day tour, very informative. Highly recommended. Amazing Tour....... our guide shared so much information with us, while taking us from place to place along the Underground Railroad trail. Thank You for this historical educational day. © 2019 Copyright MOTHERLAND CONNEXTIONS.